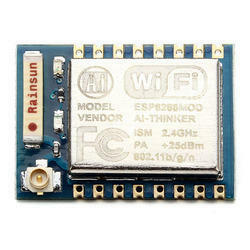 We Are stockiest and supplier of AI Thinker ESP Wifi Module. The Development Kit based on ESP8266, integates GPIO, PWM, IIC, 1-Wire and ADC all in one board. 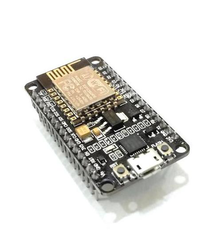 Power your developement in the fastest way combinating with NodeMCU Firmware! 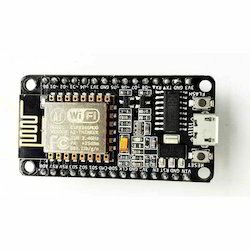 The ESP8266 is a brand new low-cost WiFi chip from Espressif which allows you to easily connect your project to the Internet of Things with a simple UART AT command interface. 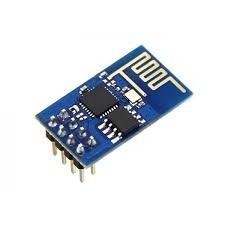 This is the ESP8266 ESP-03 module with software version 0.90 which has an on-board ceramic antenna for improved wireless range and communicates at 115200 baud. The module breaks out all pins of the chip to a 2x7 SMD pin header with 0.2mm pitch. No external circuits are needed. The ESP8266 supports 802.11 b/g/n networks as Access Point, Station and both at the same time, it's firmware can be updated over a serial connection. It's a low-footprint, minimal system development board powered by the latest ESP-WROOM-32 module and can be easily inserted into a solderless breadboard. The ESP32-DevKitC contains the entire basic support circuitry for the ESP-WROOM-32, including the USB-UART bridge, reset- and boot-mode buttons, LDO regulator and a micro-USB connector. Every important GPIO is available to the developer. Use CH340G repalce the CP2102. Event-driven API for network applicaitons,which faciliates developers writing code running on a 5mm*5mm sized MCU in Nodejs style.Greatly speed up your IOT application developing process. 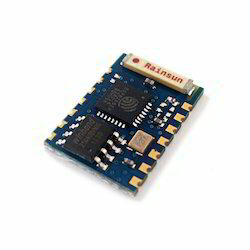 Less than $3 WI-FI MCU ESP8266 integrated and esay to prototyping development kit. We provide the best platform for IOT application development at the lowest cost. 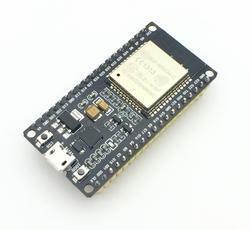 The ESP8266-07 serial WIFI module is a multiple module thanks to its small micoprosessor. ESP8266-07 has several gpio and can be used completely standalone for example a push notification board, temperature monitor, relay WiFi module etc. You can also use it to provide your Arduino with a wireless connection. You can increase the range by the antenna connection. 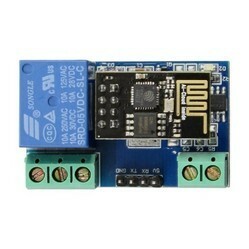 LC 5V WiFi relay module carried a ESP8266 WiFi module and microcontroller. It will send the serial port instructions to the cell phone APP and Implementation within the local area network (LAN) for wireless control relay. Onboard the ESP8266 WIFI module has three work modes: STA (client), AP (hot), the STA + Ap( hot +client), according to the workings of a module to the corresponding choice of WIFI module working mode.Module need before use serial debugging software and USB to TTL module send serial command was carried out on the WIFI module configuration (don't power outages after configuration is complete, as some of the parameters of WIFI module cannot be saved when the power is cut off), mobile phone and WIFI module after establishing a network connection can use the phone APP control relay. Plus a ESP-01S Module, the intelligent relay module based on ESP-01S WIFI module design, can be used for DIY their own smart switch, you can remotely through the mobile APP control, providing APP and LUA source. Easy to use, easy to use. 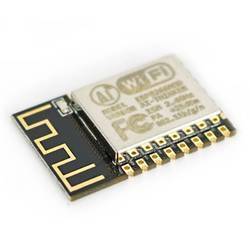 Looking for ESP8266 WIFI MODULE ? 4 Pin 128X64 OLED 0.96"